Supreme Court nominee Brett Kavanaugh before meeting with Sen. Dan Sullivan, R-Alaska, on Capitol Hill in Washington, July 12, 2018. 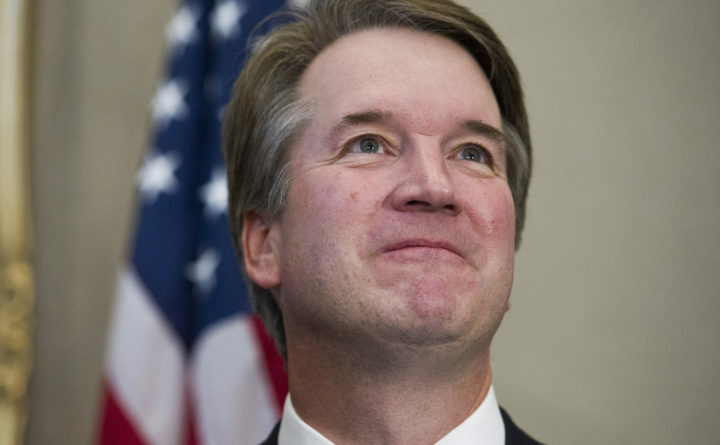 Whatever you think of Brett Kavanaugh as a Supreme Court nominee — brilliant jurist, threat to Roe v. Wade, spawn of the Federalist Society — you can be sure of this: He’s a great dad and a great coach. So says Julie O’Brien of Chevy Chase, Maryland, in an opinion piece in the Washington Post. Democrats might see this as an attempt to humanize a controversial Republican figure. But Merrick Garland, President Barack Obama’s ill-fated Supreme Court nominee, got the same treatment in the Washington Post two years ago in a staff-written profile that revealed that the judge had been a volunteer tutor at a school in Washington for 18 years. Aww. It seems that the U.S. District of Columbia Circuit Court of Appeals, where Kavanaugh and Garland sit, should be renamed the Court of Nice Guys. You might ask why it matters that a Supreme Court nominee is a doting father or caring volunteer, but newspapers long have been in the business of showcasing the “human” side of public figures. And the human-interest factor has its political uses as well: It wasn’t an accident that Kavanaugh’s photogenic family was with him at the White House when Trump introduced him as his nominee. Is it important that Supreme Court justices be good fathers and volunteers or that they worked their way through school in a humble occupation? Probably not. Was Justice Louis Brandeis a Little League coach? Did Harlan Fiske Stone ladle soup for the poor? Did John Marshall drive the horse-and-carriage equivalent of carpool? But considering how tough the confirmation fights have become, the nice-guy factor can’t hurt. Michael McGough is the Los Angeles Times’ senior editorial writer, based in Washington.